In part 1 leading nutritionist Ben Coomber explored the supplements market, noting that despite a wealth of studies and research available, there’s still a great deal of confusion for consumers about which supplements to take and what their effects are. 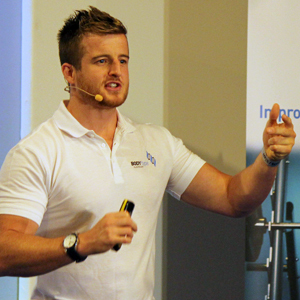 He went on to discuss how protein, carbohydrates and vitamins can be used to effectively aid training. In part 2, Ben gives a brief overview of creatine, beta-alanine, citrulline malate and L-tyrosine backed up by the latest scientific research. This all means that caffeine supplementation improves strength, increases sprinting speed, increased time to exhaustion, reduced subjective effort and consequentially better overall performance and training ability. Doses of between 3-9mg per kilogram of bodyweight have been used in research to great effect, but users must be aware that there is a significant amount of diminishing returns, so don’t assume more is better and work out what it is you need for your own purposes. Also be wary of the impact of caffeine on sleep if you train in the evening. Creatine supplementation very effectively increases stores of phosphocreatine within muscle cells, with those eating meat and fish seeing an increase of 10-20% and those who do not up to 20-40%. To accomplish this a ‘loading phase’ is usually performed, with 0.3g of creatine monohydrate (the cheapest and yet most effective form) per kilogram of bodyweight consumed per day for the first 5-7 days, followed by a maintenance dose of 3-5g total per day, taken at any time. Cycling is not necessary, and while no very long term research has been done, supplementation for 5 years has resulted in no negative effects in various populations. This supplementation has been shown to improve maximal strength by 5-15% more than placebo over the course of a training cycle, and improve the number of reps achieved at max effort by the same margin. It has also been shown to increase sprint performance both in a single bout and in repeat efforts. Users also seem to gain more lean body mass than individuals taking a placebo, but how much of this is down to supplementation, how much is down to the increased training performance, and how much is simply down to storing more phosphocreatine (which is stored alongside intramuscular water) is difficult to parse out. What is clear is that creatine improves performance in high-intensity exercise, and results in a slightly faster rate of improvement assuming training and the remainder of an individual’s training approach are in line. This means that anyone taking part in a sport or training modality that involves resistance training, sprinting or jumping can benefit from creatine supplementation. Those involved with endurance exercise, however, are unlikely to see much improvement. The next supplement, beta-alanine, is another naturally occurring substance that can be increased in endogenous (originating from within an organism, tissue or cell) concentration by supplementation. During moderate to higher intensity movement, as noted above, carbohydrate is the fuel source primarily utilised for the recycling of ATP. You may have also noted that while fat is used during low to medium intensity movement, it is not used when intensity gets high. This is because oxygen is necessary for using fat as a fuel source, and as intensity increases the amount of oxygen that you are able to inhale becomes insufficient for this purpose. That’s not all, though. When energy need outstrips oxygen supply, muscle becomes incapable of performing aerobic glycolysis and so anaerobic glycolysis, the metabolism of glucose without oxygen, predominates. A by-product of this process is the production of lactate and hydrogen ions, colloquially referred to lactic acid. This lactic acid, as I’m sure you’re aware, causes a burning sensation that eventually means you’re unable to continue performing at such a high standard and eventually must stop to breathe. Preventing this build-up of metabolic waste products will, in theory, allow for a prolonged effort, and beta alanine is the answer to the problem. Carnosine is a substance stored within muscle cells to buffer the build-up of the H+ ions associated with anaerobic glycolysis, and so increasing this is the aim of supplementation to these ends, but supplementation with carnosine itself is ineffective, so athletes need to look elsewhere. Carnosine is synthesised endogenously by combining l-histidine and naturally occurring beta alanine, with the latter being the rate-limiting substance (meaning you have plenty of l-histidine, but run out of beta-alanine). Supplementation of 4-6g of beta-alanine has been shown to increase muscle carnosine by as much as 64% within only 4 weeks. After this dosing is typically reduced to 2-5g per day, with both loading and maintenance phases usually involving multiple doses per day (bolus dosing causes an unpleasant tingling known as paraesthesia). Supplementation should be daily over a prolonged period, and does not need to be alongside training though it can be if chosen. Thanks to its ability to reduce the buildup of H+ ions, beta-alanine can improve performance in exercise lasting 60-240 seconds, resulting in greater time to exhaustion, speed during set distance sprints, volume completed in resistance exercise and reduced neuromuscular fatigue. All in all, beta alanine will improve performance during exercise lasting 60-240 seconds, but not more or less than this as a buildup of H+ ions is not likely to be the limiting factor. Citrulline malate is a supplement with far less research behind it than the others, though it’s mechanism of action is very clear. Supplementation of citrulline malate increases plasma levels of l-arginine far more effectively than does supplementation of arginine, which makes sense as CM is used in arginine synthesis. Arginine has long been known to be important in the production of nitric oxide, a molecule which causes vasodilation within blood vessels, and so intravenous arginine is sometimes used to help patients with blood pressure issues. Oral supplementation with citrulline malate has been shown to increase arginine concentrations by 123% and so it can be considered very effective for this purpose. The result of this appears to be a modest increase performance in repeated bouts of anaerobic activity, and also increase the rate of recovery from this same exercise. It may also allow you to perform more reps to failure with a given % of your one rep max, which again could improve the rate of progression. Effective doses in the above experiments range from 6-8g per day taken immediately before exercise and so this product is relatively expensive and not as extensively researched as the previous ones. As such we recommend you try it only if you have the money spare and consider it a luxury to experiment with. L-Tyrosine is an amino acid used to synthesise dopamine and noradrenaline, and it’s regularly supplemented with the hopes of increasing levels of these, but that does not seem to be the case. With that being said, some research indicates that tyrosine is able to help improve your ability to handle acute stressors, remain focused during times of stress and even maintain performance when fatigued through sleep deprivation. This all means that l-tyrosine supplementation could potentially increase your ability to endure tough training sessions and even recover better between them, by allowing for more noradrenaline and dopamine to be produced and provide a protective effect. Little evidence exists for supplementation during sports performance but combing this with anecdotal evidence certainly gives promise, and with a dose being as little as 500-2000mg, it’s not an expensive thing, either. On top of the supplements we’ve discussed in this short series, L-carnitine L-tartrate appears like it may be useful for pre-workout supplementation due to it’s ability to reduce exercise-related muscle damage without impairing progress in training and increase recovery rate, and there is also some interesting work being done to look at the impact of the adaptogen rhodiola rosea on endurance training performance, but there isn’t enough sufficient data to back them more strongly. As you can see, it’s not the case that all supplements are scams because there are a few that have definite, measurable effects and solid biological mechanisms of action. The list is short, and your supplement purchases should be few and far between, but there is a solid set of products that are effective, affordable and definitely beneficial to those looking to get the last 5% out of their training. Remember, to be sceptical is to be wise, but to be cynical is to miss opportunities.